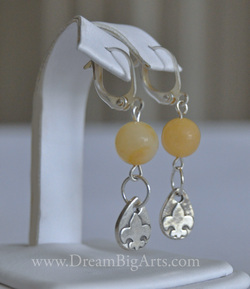 Petite yet eye catching, These little earrings pack a punch of color with yellow jade, and a little whimsy with handmade silver fleur de lis accents. Approx. 1 inch long.